Nearly 70% of your ticket purchase is tax-deductible and supports CBMF’s growing educational programs that provide unparalleled opportunities for developing musicians. 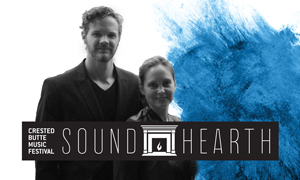 CBMF Co-Artistic Directors Emily Ondracek-Peterson and Erik Christian Peterson are on a mission to weave a tapestry of sight and sound for festival goers curious to experience the most important city in musical history. You’ll enjoy a selection of pieces by Mozart along with a history of Vienna’s musical scene set to a backdrop of breathtaking images of the legendary city itself.